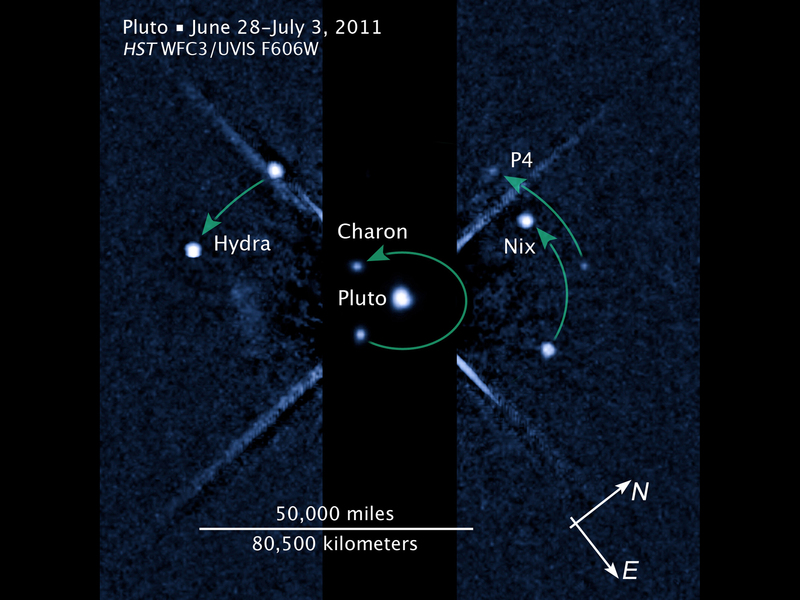 Hubble Space Telescope (HST) has discovered a 4th moon for Pluto. The discovery was made while HST was searching for rings around the dwarf planet during an observing run conducted June 28-July 3rd. The discovery announcement was made on July 20th. This new moon, temporarily designated P4, is the smallest of Pluto's moons, being only 8 to 21 miles across. When you consider that HST was observing Pluto at a distance of more than 3 BILLION miles, it is an incredible find. Tomorrow: Huge Water Discovery in space.